Who is the Park Homes Residents Action Alliance? With the growth in park home living, the Park Homes Residents Action Alliance (PHRAA) provide information, advice, tips and guidance to prospective, new and existing park home owners. PHRAA is made up of long term fellow park home owners. The aim is use their knowledge and experience to help new and prospective buyers understand the rules and regulations of park home owner life. Thus avoiding problems and making the life of park home owner as simple and enjoyable as possible. The president and one of the founding members, Colin Packman has over fifty years of personal experience researching problems and finding solutions for park home owners. What does the Park Homes Residents Action Alliance do? The The Park Homes Residents Action Alliance (PHRAA) provide information, advice tips and guidance to prospective, new and existing park home owners via their website and monthly newsletters. The PHRAA is a completely independent, voluntary organisation founded in 2002. strives to inform and protect fellow park home owners via their website and monthly newsletter. They keep their members up to date on current events within the park home owners forum, inform of the latest government legislation from the Ministry of Housing, Communities & Local Government and provide informative articles on the everyday life of a park home owner. They are passionate about standing up for, and protecting, resident’s rights. They provide a safe place for park home owners to turn to if they encounter any issues and will take up the cause for others if a person or even an entire park is not being run the way it should be. As they are not sponsored by, or contain any advertising for, businesses or park operators they are entirely impartial and are proud to use the tag line “Tells it as it is”. This means that they will point out any new or existing problems with any park, individual or service without fear of losing sponsorship or advertising money. This allows the park home owners who read their newsletters and follow their website to be able to trust that they are receiving the real and unbiased information they need. Why would you need the PHRAA? The Park Homes Residents Action Alliance is there solely to offer support, guidance and important legal information to all park home owners and those looking to become a park home owner. They are a unique organisation as the members are made up of the very people who have encountered these issues and difficulties for themselves. They use their own experiences and knowledge to help others navigate the sometimes difficult decisions and journey to becoming park home owners. As in any area of life there are individuals who do not follow what should be done, they cut corners and are only interested in making money. The PHRAA call these individuals USO’s (unscrupulous park owners) and they are an invaluable source of information to help others avoid these USO’s. This makes becoming a park home owner a much less fraught experience as they are able to guide you and let you know how to avoid these individuals, which is excellent for all – prospective park home owners and trustworthy park owners alike. Can anyone join the PHRAA? 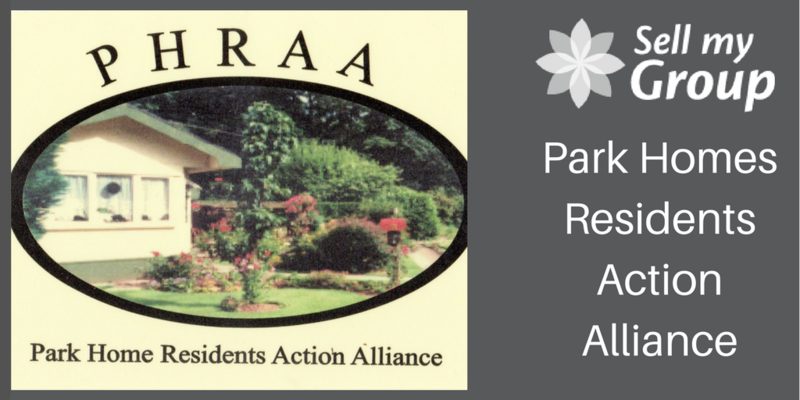 Anyone who is a park home owner, or is looking to become one, can join the PHRAA. Membership is free and the application form can be found on their website www.thephraa.website.